Looking for additional storage space and need to efficiently use your space? 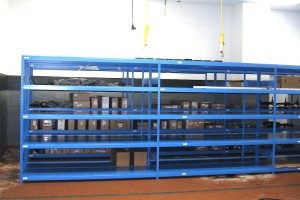 Grace Material Handling has storage rack to solve all of your storage needs quickly and affordably. Our experts will work with you to design a solution that maximizes your space. Use our pushback rack to save money storing more of your products in a smaller space. 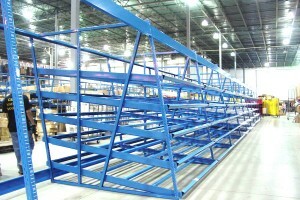 A pushback rack system fills your storage area with more product and less aisles. 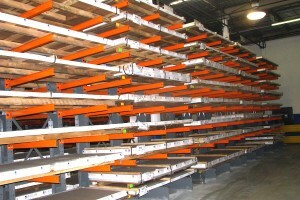 As opposed to a single pallet-deep selective rack system, pushback rack system you store pallets anywhere from 2 to 5 deep. 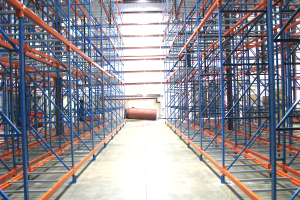 Our structural cantilever racking is what you need for handling medium- to extra heavy-duty loads. Ideal for storing short, long or awkwardly-shaped items, our cantilever racking features a special arm system designed for easy front loading without obstruction. With quick assembly and sturdy construction, our Rousseau Mini-Racking can respond to all your storage needs. Our experts will work closely with you to design a high quality solution that is meets your unique requirements.